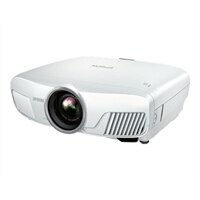 Epson PowerLite Home Cinema 4000 Home Theatre Projector - HD ProjectorGet exceptional, color-rich performance and stunning detail with the Home Cinema 4000. Epson PRO-UHD 3LCD home theater projectors deliver a groundbreaking combination of color, contrast and resolution for the ultimate entertainment experience. Every detail comes alive with 4K Enhancement Technology, which accepts 4K UHD content and upscales non-4K content. An advanced, 3-Chip, 3LCD design means no color wheel, white segment or rainbow effect. Get exceptional, color-rich performance and stunning detail with the Home Cinema 4000. Epson PRO-UHD 3LCD home theater projectors deliver a groundbreaking combination of color, contrast and resolution for the ultimate entertainment experience. Every detail comes alive with 4K Enhancement Technology, which accepts 4K UHD content and upscales non-4K content. An advanced, 3-Chip, 3LCD design means no color wheel, white segment or rainbow effect.